Edith Cowan University is an Easy Access Innovation University and an international partner of the initiative for Australasia, working together with co-founding partners King's College London and the Universities of Glasgow and Bristol. Together, Easy Access Innovation universities promote new ways of sharing intellectual property and adopting new approaches to make it easier for universities and industry to work together. Our portfolio of Easy Access IP technologies aim to increase the engagement between universities and industry and accelerate the transfer of university knowledge and expertise into the hands of a commercial partner who can develop it to benefit the economy and society. Easy Access IP offers university technologies to industry for free, using quick and simple agreements. University technology is often at a very early stage of development and it will require significant investment in order to release the inherent value. Universities have limited resource to develop IP to a stage of significant commercial value. The Easy Access IP model accepts this and provides a mechanism for us to release a proportion of our technology portfolios to those who can develop it. It provides an opportunity for companies to take a risk without any financial obligations. 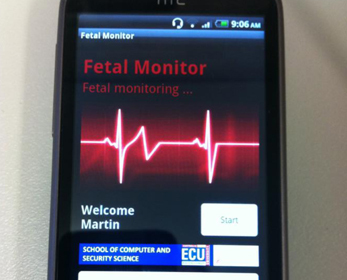 Improving access to prenatal care by designing an affordable, portable fetal monitor that expectant mothers can use to check for signs of fetal distress and relay vital information to healthcare professionals.